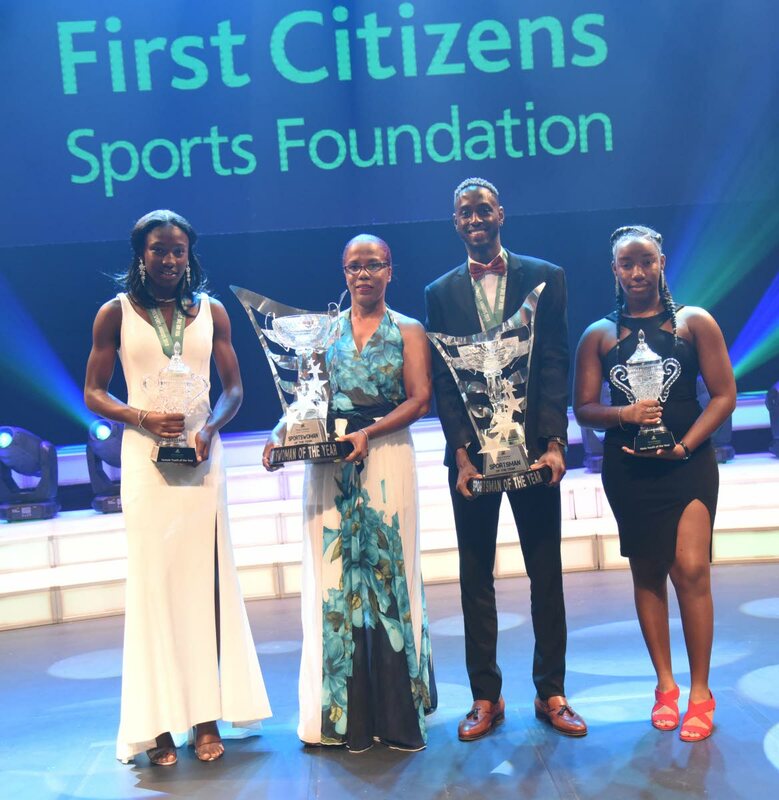 NATIONAL sprinters Jereem Richards and Michelle-Lee Ahye were crowned 2018 Sportsman and Sportswoman of the Year respectively at the First Citizens Sports Foundation's 56th awards ceremony, held at Queen's Hall, St Ann's, Saturday evening. Teenage national sprinter Shaniqua Bascombe won Junior Sportswoman of the Year. Swimmer Kael Yorke broke athletics' dominance at the awards by being named Junior Sportsman of the Year. Richards beat stiff challenges from Nicholas Paul, who is currently ranked the world's fourth best sprint cyclist, and Dylan Carter, who was TT's best swimmer at the Commonwealth Games. The National Association of Athletics Administrations once again picked up the Jeffrey Stollmeyer Award as the best overall national sporting association. Reply to "Richards, Ahye top First Citizens awards"